Regiment/Catrawd: 3rd Battalion Worcestershire Regiment. Military Cemetery/Memorial / Fynwent milwrol: Ecoivres Military Cemetery, Pas de Calais. Ref No Grave or Memorial / Rhif cyfeirnod bedd: Plot: 11. Row: E. Grave: 7. Killed in action on Friday 26 May 1916, aged 25 years. Henry Vincent Williams was born in 1895. Little is known at this time of his life. His parents were Thomas Deacon and Harriett Williams and he married Louise setting up home at ‘Lutterworth’, South Hating, Petersfield, Hampshire, England. 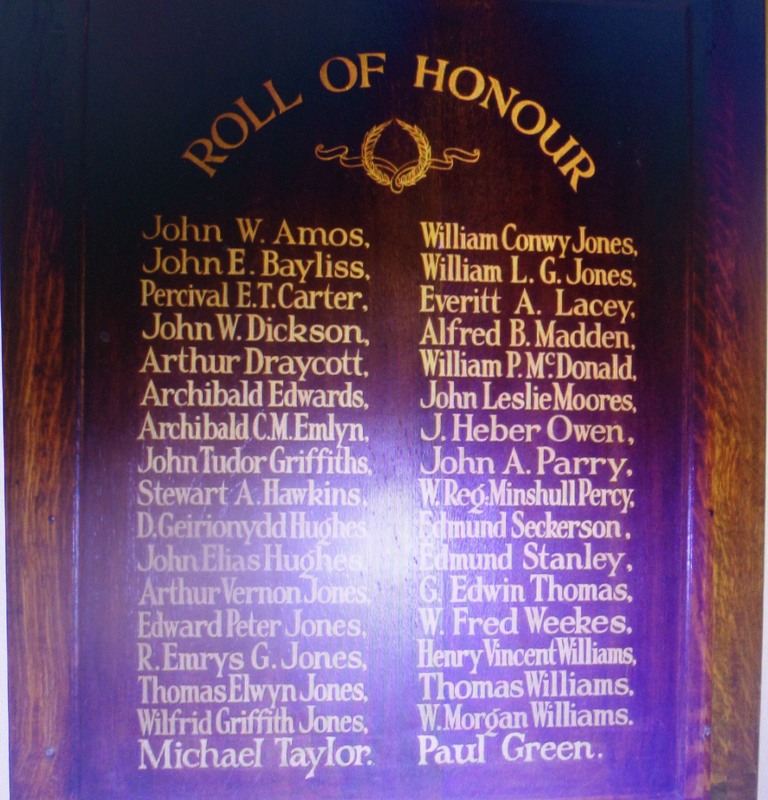 2nd Lieutenant Henry Vincent Williams is remembered on a Roll of Honour Plaque at The County School, Grange Road, Rhyl.